James T. Hargrove, Esq. | Our Team | Brooks & DeRensis, P.C. James Hargrove brings to his practice over 42 years of involvement in the insurance industry, first as a licensed agent, licensed broker, claims adjuster, claims supervisor, claims manager, public adjuster, and for the past 31 years, trial practice in insurance coverage litigation. Mr. Hargrove’s litigation has included personal and commercial property, personal and commercial liability, environmental liability, directors’ and officers’ liability, errors and omissions liability, fidelity and surety, and inland and ocean marine. He has represented commercial insureds as well as many major domestic and foreign insurers including Underwriters at Lloyds, London. In addition to his trial work, Mr. Hargrove has consulted with insurers and insureds regarding the drafting and interpretation of insurance policies and alternative methods of managing risks. 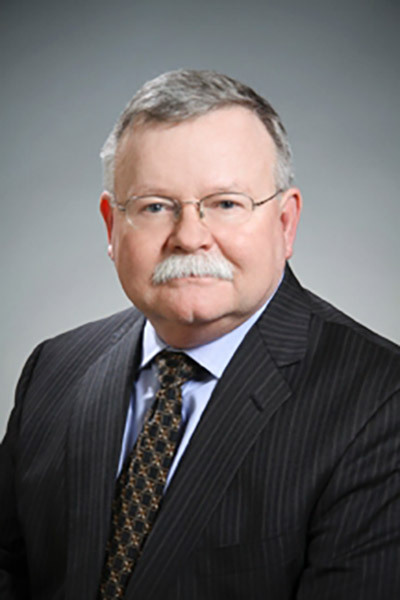 Over the years, Mr. Hargrove has tried numerous cases to verdict in state and federal Courts, ranging from arson and fraud defense to fish mortality claims in jurisdictions from Maine to California. He has argued matters before the Massachusetts Appeals Court, Connecticut Appeals and Supreme Courts, and the Federal First and Second Circuits. Prior to joining Brooks & DeRensis, Mr. Hargrove was counsel at Deutsch Williams, a shareholder at Goulston & Storrs, PC, and a partner at Morrison Mahoney LLP. Mr. Hargrove is admitted to practice in Massachusetts and admitted before the Federal District Courts of Massachusetts, Maine, Connecticut, New York, Vermont, and Michigan. He is admitted to practice before the Federal First and Second Circuit Courts of Appeal. He has been admitted pro hac vice in the state courts of Maine, Connecticut, New York, Nevada, Louisiana, and California. Mr. Hargrove has acted as a trial advisor for the Harvard Law School Trial Advocacy Workshop, as a judge for the Suffolk University Law School Moot Court Board, and as a judge for the ATLA (now American Association for Justice) National Student Trial Advocacy Competition. He has also volunteered in Scene Design and Construction for the Manchester Essex Regional Schools. In addition, he has taught at the University of Windsor, Ontario, while in the MFA program at Wayne State University, as well as an instructor at Northeastern University. Mr. Hargrove holds a Bachelor of Arts degree in Theatre from Loyola University in Chicago and received his Juris Doctorate from Suffolk University Law School.